Earlier this week, Van Halen announced a 2012 tour, with few real details other than an on sale date for the first series of shows. The legendary rockers also shared an image with a February 7, 2012 date, but it was unknown if it was the album cover and release date, or something else. Read more on the first set of official VH news here. Now, the Van Halen News Desk is reporting on the band’s schedule, and the pieces of the puzzle are being filled in. As for the new album’s title, it remains under wraps. This week’s official band announcement referenced the subject as “The Future,” but the VHND reports that is not the actual name of the album. 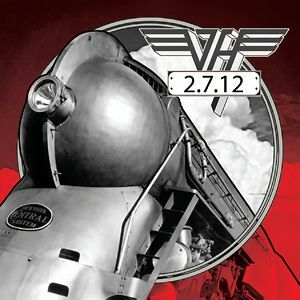 No word, yet, on whether or not the February 7 image, which features a train, represents the album’s cover. More confirmed details are expected to follow in the coming days.